The Wine Advocate - Ex-chateau bottle tasted blind in Sauternes. The Climens 03 has always been a capricious Barsac: brilliant out of barrel but found wanting under vertical conditions. Here, amidst a blind horizontal, it fell somewhere between the two! This bottle offers a sweet ripe bouquet of candied orange peel, dried honey and fig that is missing a little delineation (as discerned on previous bottles.) The palate is ripe and rounded on the entry with a touch of spice that lends it a pleasant edginess. Mango and pineapple form the middle whilst the finish is composed and focused with commendable precision and citric acidity. To repeat comments I have made before, this is a decent Climens, but Berenice Lurton has made far superior wines in recent years. Tasted April 2013. Parker - "2003 is a rich, sweet vintage of powerful, full-bodied wines that possess huge levels of glycerin, alcohol, and residual sugar." 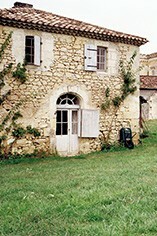 Château Climens is the leading property in Barsac, Bordeaux and produces one of the greatest sweet wines in Bordeaux. It can trace its history back to the 16th century and was bought by Lucien Lurton in 1971. It has been owned and managed by Berenice Lurton since 1992. 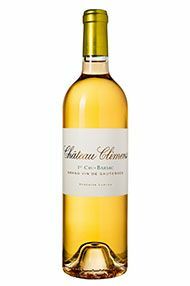 Climens is located in the south of the Barsac appellation, just outside the small village of La Pinesse - the vineyards (Sémillon 100%) lie on the highest point in Barsac (20m above sea level) on a gravel/sand topsoil and a limestone/clay subsoil. Yields at Climens are tightly restricted and the wine is barrel-fermented and then aged in small oak barriques (one third new) for 22 months. The main grape for Sauternes and particularly successfully grown in Australia's Hunter Valley. Hunter Valley Sémillon is one of Australia’s iconic and unique wines, totally unlike any wine produced elsewhere in the world from the same grape variety. In youth the wines are quite citrusy and fresh, but are generally perceived to gain hugely in complexity as they age and are deemed to be best drunk when at least 5 years old, frequently lasting for 10 or more years. Unusually for Australia, the alcohol levels rarely exceed 11.5%. In Bordeaux it is the most widely planted white grape and is blended with Sauvignon Blanc to produce the great long-lived dry whites of Graves as well as the great sweet wines of Sauternes. 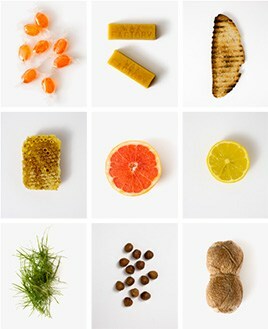 It is high in alcohol and extract and relatively low in aroma and acidity. Its thin skin makes it very susceptible to botrytis which is prerequisite for the making of Sauternes. It responds well to oak ageing and, while having a lightly lemony aroma when young develops lanolin flavours which some describe as "waxy", as well as a rich, creamy, intense, texture and a deep golden colour.